Courtesy of Nora L May, Long & Foster Real Estate, Inc.
OPEN SUN 4/14 1-3 ***Convenient quiet location close to everything. 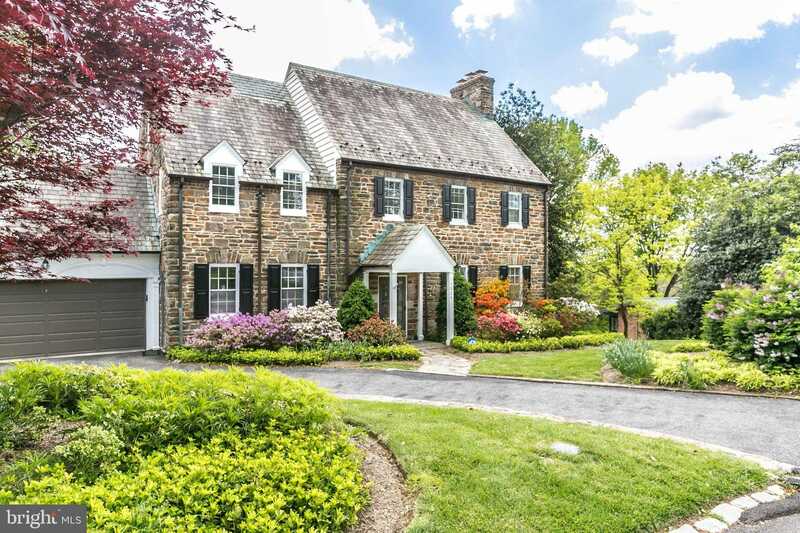 Handsome STONE COLONIAL, 5 bedrms, 3 full baths & 2 half baths. Great floCCw on the 1st flr. Liv rm w/fpl, fr doors to sunny Din rm, open to Family rm w/vaulted ceiling & walls off windows, opening on to deck. all looking at a peaceful vista. Kitchen new 2007 w/built in brkfst area, & mud rm. Attacched car garage with HOT & cold water. Lower level boasts club rm & separate office with stone fpl. (wood /could be gas) laundry & half bath. 2019 New Roof on Family Rm & Dining Rm, New Disposal,New Gas Line on Winding Way & to the house. Also Winding Way was just repaved.